The twelve bar sequence can be played using major and minor chords. It has a number of variations. Rhythm exercises in the key of C. These are chords that work together. Get a fell for the combination and practice changing from one to the other. 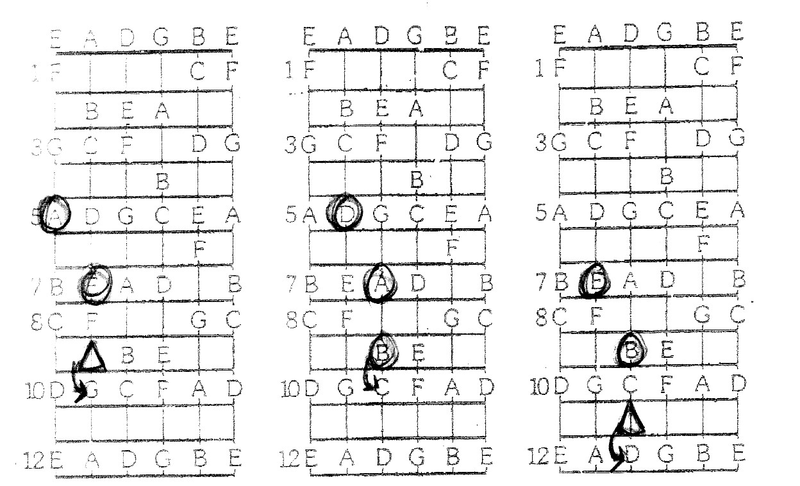 Twelve bar shuffle is a rhythm used in the twelve bar sequence, and can be played in a number of ways. The triangular note is added after the first two notes are sounded and is played with the root note. 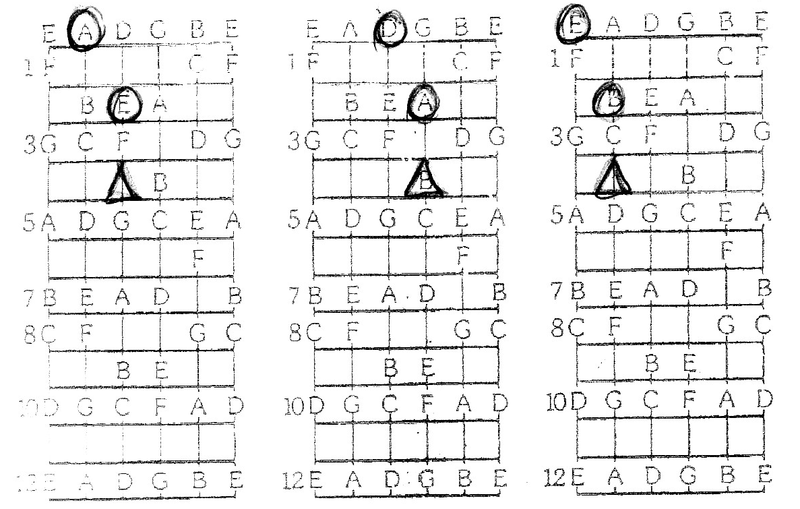 The arrows above the extended note are the alternate position to use for variation. Watch the video link below to see a demonstration.